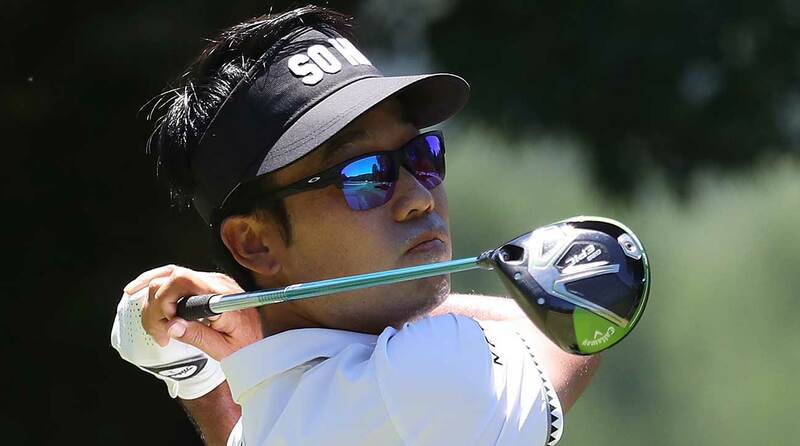 Kevin Na cruised to the second victory of his PGA Tour career. WHITE SULPHUR SPRINGS, W.Va. (AP) — Kevin Na rode a hot putter to halt a winless streak of nearly seven years on the PGA Tour. Na shot a 6-under-64 for a five-stroke victory at A Military Tribute at The Greenbrier on Sunday. The 34-year-old Na's only previous tour win came in Las Vegas in October 2011. "I wasn't sure if it was going to come again. I was hoping it would — sooner than later," Na said. "I've been close so many times, failed so many times." He's had three dozen top-10 finishes since that last win and showed signs earlier this year that reaching the top again was still well within reach. He tied for second at the Genesis Open in January, two shots behind Bubba Watson. In late May he shot 61 in the first round of the Fort Worth Invitational to match the course record and finished fourth. Starting Sunday's round one stroke behind co-leaders Harold Varner and Kelly Kraft, Na birdied six of his first 10 holes to open a big lead on the Old White TPC, and he cruised from there. The only blemish on his card was a bogey on the par-4 11th after driving into the rough. Na finished at 19-under 261 and picked up the $1.31 million winner's paycheck. He improved 40 spots to No. 18 in the FedEx Cup standings. Kraft shot 70 and finished second at 14 under. Brandt Snedeker (64) and Jason Kokrak (67) tied for third at 13 under. Na was one shot behind co-leaders Kraft and Harold Varner to begin the day. His birdie stretch included making putts of 24, 33 and 43 feet. "My putter got hot," Na said. "The first day the putter felt awful, and (then) it just clicked. Every time I got over the ball it felt great, and everything felt like it was going in." By the time he strolled up to the 18th green, Na was at ease, relaying his love to his wife and young daughter toward a TV camera. He cried during a television interview after the round as he relayed a message in Korean to his overseas fans. "I didn't want to leave the Korean fans out," Na said. The only drama down the stretch was who would pick up the last of the tournament's four qualifying spots to the British Open in two weeks. Na had already earned a spot. Varner needed to make a birdie putt on either No. 17 or 18 to get there, but he parred both holes. That gave the final spot to Austin Cook. Kraft, Kokrak and Snedeker were the other qualifiers. The leading four players not already exempt from the top-12 finishers qualified. Kraft said his first British Open bid helped take away some of the sting of losing the lead Sunday. "Obviously, I would have loved to win after leading coming into today, but, you know, sometimes you run into a guy that makes a lot of putts," Kraft said. No third-round leader has gone on to win the tournament since its debut in 2010. Varner shot 72 and finished tied for fifth at 12 under along with Cook (66), Joaquin Niemann (64), Sam Saunders (70) and Joel Dahmen (69). Niemann's performance earned him a full PGA Tour card for the upcoming season. Defending champion Xander Schauffele, who was one shot behind when the round started, bogeyed five of his first six holes. He shot 75 and finished 11 shots back.